Pictured back row left to right: David Miller, Logan Senecal, Matthew Otten, Andrew Lamke, Jacob Engelbrecht, August Panhorst and Jacob Alvarez; front row: John Liggett and Clark Kent. NEW HAVEN, Mo. 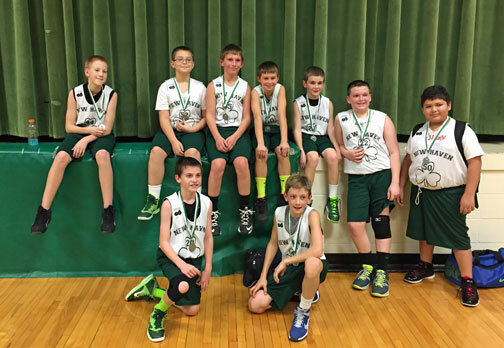 - New Haven’s 6th Grade boys played in Saturday’s Championship game of the New Haven Tournament against Union. After trailing 17-2 at halftime, New Haven would rally in the second half, out scoring Union 16-8. 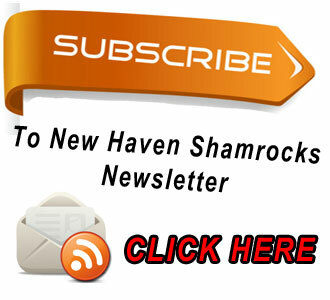 The Wildcats were able to fend off the Shamrocks 25-18 as New Haven would take second place. Congratulations to New Haven on their second place finish.